At Relax Bedding, we are 100% committed to providing the highest quality products available. MATTRESS PROTECTORS, SHEETS, PILLOWS, ETC. Thank you Joondalup store for you amazing service. The wife and I came in a month ago to buy a new king size mattress. We were met by Bryan, a very nice guy and not pushy. He left us to try what we liked, and was there to answer any questions we had. We walked out with a new mattress for a great price and free delivery. I recommend this business highly. I was recommended to Relax Bedding Mandurah by a friend. I received excellent service from Brian at Mandurah where we bought a tallboy. He gave us the time of day and was very patient and helpful. He was considerate to us all throughout and did his best to give us the best price, plus delivery and free wine which was very special. I highly recommend Relax Bedding. We are grateful for the KS base and mattress Paul has delivered to us. We are happy with Paul's service. He is friendly and knowledgeable. He advised us about mattress protectors and went above and beyond. He is a breath of fresh air compared to other delivery drivers. Thank you for the mattress and ensemble base you delivered to me. The bed is very comfortable, so much so that I don't want to get out of bed in the morning. I wished to thank Brian who was the first person to help me. I commend his honesty in recommending the right mattress. It is rare to come across a sales person who is honest and wants to provide the best product for the customer. Brian's service is truly lovely. My partner and I walked in not knowing what we wanted and walked out extremely satisfied. The sales manager was very helpful and gave us many different options to try. She was very informative, answered all our queries, and gave us a great deal on a brand new mattress. My partner and I saved over $1k on our mattress because of the sale. We also got a free bottle of wine which was a nice little surprise. Thank you to the staff, specifically the manager that helped us out. Great experience at Relax Bedding Joondalup! Sheila was brilliant, she wasn’t pushy and answered all our questions helping us choose the perfect bed frame and mattress. Thank you Sheila and Relax Bedding. Thank you very much, Nicola, for giving us such excellent service and competent advice today. We surely will recommend you and the Relax products to our family and friends. Great sale! I got a double mattress of good quality plus a free bottle of wine. Great service too! Wow! The staff are fantastic, no pressure and so friendly, ready to help when you need it. We are so happy with our deal that we would happily recommend each and every time. 😊 Thank you for all your help. My wife and I recently purchased a mattress and base from Relax Bedding. We had a warm welcome from Brian and Bill who listened to what we were looking for and briefly told us about the mattresses and that they were all Australian made. We were left to try out as many mattresses as necessary and suggested we try out with different types of pillows to get the right feel. They were on hand to answer all our questions. They were very patient and not at all pushy. They didn’t try to sell on price but rather were more interested in making sure we chose the correct one. Their customer service was outstanding and it made the experience very relaxing and stress free. The mattress and base were delivered on time and the old ensemble was taken away for us. We highly recommend coming here for all your bedding needs. Service was good. The range isn’t very broad. Friendly and helpful sales staff, not pushy and the mattress was delivered the next day. The value for money of this sale mattress was excellent and we are optimistic it will help to address our sleep quality problems. Three years with the bed I bought at Relax and it is still the best bed I’ve ever slept in. Amazing because it was a fraction of the price of any others we looked at. These guys were a pleasure to deal with – incredibly helpful when required but unobtrusive and not at all pushy otherwise. Brian went to amazing lengths to make sure I got what I needed from a bed. Their delivery arrangements and comfort guarantee are unusually good for the bedding industry. Really highly recommended. We went to literally 7 different mattress stores in and Relax Bedding had the best price by far. But even more important, the service was great. Brian was really nice and even delivered the mattress to our home for free and removed our old mattress. Then as a surprise, he gave us a bottle of red wine. Brilliant! After a long day trawling through local mattress shops, we stumbled into Relax by accident; and as accidents go, this one was welcomed. With gentle soothing music playing, rather than a TV blaring with a local breakfast show, we found ourselves in an oasis. The sales pitch, such as it was, is a wonderful example of how to pay attention to your customers. It was calm, understated, to the point of barely there. We tested several options and arrived at our choice. The price was a very pleasant surprise as was the personal delivery on the same day by the same person who helped us. As a final ‘Cherry on Top’ we were treated to a bottle of wine. If only all shopping experiences were like this one. Fabulous, friendly service from helpful staff. Happy to have our kids in store and had a great kids’ corner to keep them entertained while we made our selection. I literally walked out saying it was some of the best service I have had in a while plus a great product at a great price. Thanks. We cannot thank you enough for the fantastic and courteous service we received from Marion at the Mandurah Store. We had both had a recent hospital overnight experience and was looking for adjustable beds. Well, not only did we receive good advice and service but the price was unbelievable for not ONE but TWO adjustable beds with different firmness for each mattress. The complimentary bottle of wine was truly a wonderful surprise. Also a big thank you to Brian and Bailey who delivered the beds, installed them, and removed all packaging and old beds. What a service!!! You have to go a long way to beat RELAX BEDDING. Relax are definitely the best for customer service and after sales service. I wouldn’t go anywhere else and the staff are so helpful and friendly. Absolutely wow! My mum and I stumbled across this little gem when we visited pet stock and we were mind blown! We were greeted by Brian who was such a warm and amazing salesman. We simply told him exactly what we wanted and he knew exactly which mattress to point us too. We had been mattress shopping for hours before this and all of the mattresses we saw were so pricey and not very comfortable. The second we walked into this store we were blown away by the quality of mattresses and the prices, as well as the fact that they are Australian made. Amazing Service, amazing prices, and just in general amazing! Cannot wait till we pick our bed up. Nice range with affordable pricing and good old customer service. Nicky went above and beyond to help us out. Even the delivery driver is great. Will gladly use these guys again. I went into to purchase a single mattress. Nicky made it super easy and very friendly. I will definitely be back in future. A++ customer service from Nicky. Very helpful and knowledgeable staff, I was shopping the sale and got exactly what I wanted. Great service, great prices and I now own the most comfortable mattress in the world… (I) highly recommend! Excellent and knowledgeable help from Nicky… (She) very patient and listens to you. Great service and very knowledgeable. They don’t pressure you into the more expensive mattresses if they aren’t the right fit for you. We just had our new bed delivered today and I must say the service was terrific. They delivered our new bed and removed our old one at no charge. Great service and advice from Nicky who sold us the bed. Many thanks! We are delighted with the bed we bought from the Joondalup store. The guy that delivered it was lovely and very helpful. He removed all packaging. I would recommend this store to anyone looking for value for money and excellent service. The service was excellent and all the beds were responsible prices. The best bedding shop ever, perfect customer service , nice salesman, excellent quality, everything great. I take this opportunity to thank Brian who was wonderful in customer relations from point of sales to delivery, installation supported by 10 years warranty offer and care. In addition, I have found Brian with great wealth of product knowledge about all job facets. Brian relates to customers exceedingly well, he represented the company exceedingly well and solved my requirements with direction, speed and accuracy. Brian earned my loyalty in a day. I will certainly pass a kind word about your business among my circle of family and friends and the wonderful team who works behind the scene at Relax The Bedroom Experts. I am not much of a shopper as I hate being hassled by salespeople, so I avoid it. However, when I came straight inside your store, I was met with great hospitality. You were still setting up flags etc, but you still made me feel welcomed. From there on, the service was nothing short of first rate. Your knowledge of the products was of the highest order, and you didn’t force a single product down my throat. You allowed me to explore and make my own decision. I did not feel rushed. The deal I got was fantastic; the bottle of wine was great. I rarely shop and feel happy afterwards. I walked out of there with a smile on my face feeling very happy about the whole experience. So much so I have spoken to quite a few people already about how well I was looked after by you. Again thank you and I hope your excellent work is getting recognized there. We would like to comment on the excellent level of customer service we received from your staff. It’s not often that we walk in to a store and feel that the sales staff really have our bests interests at heart – but that’s exactly how we felt on Saturday. This is to thank you so very much for all your help in advising me of the correct ensemble to buy from your company. I am so grateful for all your expertise and for the privilege of doing business with you. I have not bought a NEW mattress ever and headed to Joondalup looking for certain stores I have seen advertised (yours was not 1 of them). While sitting at the lights, I saw your store which I went to first. Your sales lady was AMAZING. One of the most things that made me come back was the way I was treated, and the information given to me was what I was looking for. I had to check with other stores, though. Eventually, I went back to your store to order my mattress but found a different sales person, who was also very accommodating and helpful. If you give bonuses out to staff, they deserve it. Thank you. The service has been excellent, honest and down to earth, unlike the several other bed shops I went to. Thank you very much for the fantastic service we received at your store. You were a wealth of knowledge and helped us choose the perfect mattress. The customer service from the minute we walked in the door until delivery a few days later was second to none. We will be sure to recommend your store to anyone and everyone. The sales approach won me over. I bought a bed from Sara this morning & was impressed with her as a sales person. I was on my way to buy a Sealy from Harvey Norman when I saw your store & dropped in to see if you sold Sealy’s and get a better deal. Sara, in my opinion, has good people skills and her sales approach won me over to consider her brands. Where I would usually walk if a store didn’t sell what I wanted, I saw what she had, got a quote, went and had another look at Harvey Normans Sealy, couldn’t tell which one was better, so it was back to Sara. I am sure Sara will continue to be an asset to your company. Both myself and partner on different occasions (separately) attended to the store whilst Nicky was working and we can both say how extremely happy we were with the service. When attending to finally purchase a mattress, we were dealt with by another great lady (unfortunately) name not recalled. Again very happy with the great customer service. We have been looking for a mattress for the past 2 weeks. It’s been popping into here and there in different stores separately when time permitted. 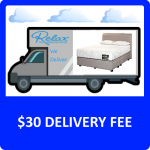 We both have been to 3 other major mattress retailers in the Joondalup area and without a doubt the customer service at Relax has by far outweighed the other stores. The 2 staff members as mentioned have been great, they were not pushy, rude, annoying or came across as false as some of the other sales staff we had encountered. They allowed us to look and browse at our own perusal and were more than happy to answer questions when engaged and were very knowledgeable when it came to different mattresses and brands and were also very honest, welcoming and genuine. It was down to your staffing why in the end we returned to Relax to finally make a decision and pick a mattress to purchase. Good customer service is very hard to come by these days, so we would just like to bring this to the stores management team. We will certainly be recommending this store to friends/colleagues. I wish to say thank you and commend you on the outstanding customer service that I received when I purchased a mattress from your Osborne Park store recently. In particular to Brian – I have never experienced such a standard of customer service before, and the offers/services unique to your store made for a very happy purchasing experience. I have spread the word of your store to my friends & family. Your help and advice was greatly appreciated as well as the deal you provided for us. Our expectations were certainly exceeded thanks to you and I would be more than happy to recommend Relax to all our family and friends looking to get into some quality bedding. Thanks again for all your help and look forward to the bed being delivered tomorrow. My wife and I would like to thank you for being so patient with us yesterday, especially when we had the various questions in relation to purchasing our mattress. 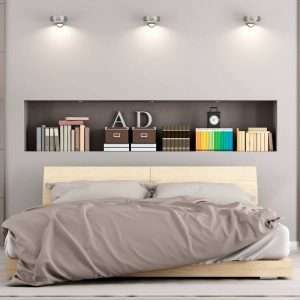 We mentioned that we are building our house so we will be requiring beddings, so we both know where to come after seeing that you gave us a great insight. Just wanted to say we had a great experience with your business. We walked into the Joondalup store on Sunday, was assisted straight away, quite thoroughly, to choose the right bed for us. We paid, and left just hoping that what we were told was true… that the delivery would be at a certain time on a certain day, and free of charge. IT WAS! Our mattress arrived yesterday at the time we were told, in excellent condition, by a friendly person. Last night we had a wonderful sleep and are extremely happy with our purchase and the whole experience in general. THANK YOU! Thank you for helping me find a bed for our spare room. It was really lovely to have someone not give me the ‘sales spin’, but rather help find the most appropriate bed. Feedback from our guests when I asked was, “it’s so comfortable”. I have already recommended your store in Balcatta to friends and will definitely be back when we are ready to upgrade our bed. Thank you. Your customer service was fantastic, they are an asset to your business. Due to the service from Brian at the Joondalup store, I refused to look anywhere else with my partner. I said the service was excellent and price was good, I’m happy to get it from them. Thank you. As soon as I entered the door, there was a smiley face to greet me – it was Brian. He listened to my budget and needs and showed me the “best value” with the means I had to spend at the time. He was very patient, not overbearing, not cheesy and most of all not pushy. These are all of the things I value in a shopping experience. I rang Brian yesterday and told him the bed was not the fit for me. He was still really nice and told me to come in. I met with him today 2/12/14 and he couldn’t have been more helpful. All is resolved and I purchased some other items that were extremely great value. Due to this experience, I will certainly be recommending Relax to others. I think this gentleman deserves a pay rise. I just wanted to let you know the replacement mattress I received is amazing! No more back pain from night 1. I also wanted to thank you for your very friendly and extremely helpful service. I'll definitely be recommending you to my friends. I wish to thank Relax Bedding for their expert advice and information given to me when I was buying my mattress. I had back issues and was confused by the choice of mattress that would benefit me, however, the salesman's knowledge was outstanding. I am very happy with my mattress and the service I received and the delivery driver even took away my old mattress for me. We are very happy with our purchase of the 2 single mattresses and mattress covers. Relax Bedding Joondalup offered us excellent service, range, price and product knowledge that we did not find elsewhere. We would recommend your business to anyone. Last week I was privileged to have your member of staff, Nada Treacher, sell me a Queen Size ensemble at your Osborne Park store. I would like to comment on the wonderful attention, patience and advice I received from Nada in advising me of the bed most suitable for my needs. She then wasted no time in arranging delivery as soon as possible, and I must say the whole transaction was a pleasure which resulted in great satisfaction.I also compliment you on the courtesy and expertise of the two men, Brian and Paul who delivered the ensemble. They did so right on time, with great care and management in assembling the bed with a very willing attitude and happy disposition even though the heat that day was almost unbearable.So this letter is just to thank you and to pay tribute to your members of staff who are the best I have encountered for a long time, and must be a great asset to you. I hope your business will continue to thrive and bring you much prosperity. I bought a bed from Sara this morning & was impressed with her as a sales person. I was on my way to buy a Sealy from Harvey Norman when I saw your store & dropped in to see if you sold Sealy’s and get a better deal. Sara, in my opinion, has good people skills and her sales approach won me over to consider her brands.Where I would usually walk if a store didn’t sell what I wanted, I saw what she had, got a quote, went and had another look at Harvey Normans Sealy, couldn’t tell which one was better, so it was back to Sara.I am sure Sara will continue to be an asset to your company. We want to thank Relax Bedding Mandurah for their AMAZING personal service and very kind staff member. They really cared and helped when all other bedding stores were not interested unless we took the most expensive bed. Thanks to Marion, she really cared about helping us and our individual needs. Brian at Relax Bedding Mandurah was excellent. He helped us pick out an Australian made mattress at a great price. The kids’ corner kept our 3 year old happy while we tried out the mattresses, which is a fantastic idea. Thanks! After visiting 2 of the large franchise bedding shops in Mandurah, we were so glad to have taken the time to walk over the car park to the new Relax (The Bedroom Experts) shop in Mandurah. We thought that Marion was right on the ball with her help and service. What a pleasure dealing with a person that actually looks and acts like she is really enjoying being at work and helping customers . 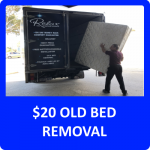 We will have no hesitation in recommending all our family and friends to visit this shop to get great service and the BEST price in Mandurah for there bedding. Just purchased 2 queen beds and the service was absolutely outstanding. I highly recommend this store as they are a breath of fresh air in the sales community. They are prompt and friendly and they go the extra mile in making me feel valued as a customer. Thank you and keep doing what you are doing. I had been to a couple of bed shops looking for a new mattress; this (store) was the best service and price I could have asked for. I got a great deal and also a couple of gifts. Would definitely recommend this shop. It was nice to go into a store and experience friendly and helpful sales staff. After browsing all the other mattress stores in the area, we found this one to be the best for quality and price. The sales person was looking out for our needs and was mindful of our price range and helped us pick out the perfect mattress. Such a pleasant experience, would highly recommend. Paul did a good job and was very friendly. The bed was very comfortable. My replacement cover has arrived safely and is all in tact.I cannot thank you enough for the outstanding service I have experienced with your firm. From the outset when I was in the decision process right through to one year later with a minor little zip issue, your service has been unbelievably helpful, courteous and prompt. I wish other businesses were so incredibly helpful and respectful of their customers as you all are.My thanks again and highly recommend Relax Bedding and your outstanding attention to service. Brilliant! The bed base is amazing; I’m so happy with it. Your customer service on the showroom floor and delivery is fantastic. I’ll definitely be recommending your business to my family and friends. Wow! We totally recommend you see Bill. He is very helpful, knowledgeable and NOT pushy. I got a great deal. We even walked out with a bottle of Margaret River wine. It was very positive experience all around. What a lovely experience in buying two mattresses for our bed and breakfast business in Yallingup! You listened and matched the right mattress to our budget and needs.We visited other bedding stores that day but returned to you after finding you had the best product at the best price. Once we had bought the product, you even threw in free mattress protectors and a lovely bottle of Margaret river wine. You were lovely to deal with and very knowledgeableThanks once again, Marion! Great service, delivery and prices. Thanks for our receipt and thank you for your very professional service.I will always recommend Relax Bedding because I was very well treated as a customer and they were happy to help. I wish I could say the same for other places where I wished I had not been there, as they made me feel like I am bothering them. Nice to purchase Australian made products. (Relax Bedding) has some friendly and experience staff. They advise you on your choices. It is still better to buy locally. At Relax Bedding, our employees work on a no-commission basis. This sets us apart from our Perth-based competition, as our team do not have the pressure to sell. We give our customers the time and space to relax and test the mattresses properly. We help the customer make the right decision by giving them the right guidance on how to test the mattresses properly. Price isn’t a determining factor in choosing a mattress; it’s what works best for the individual. 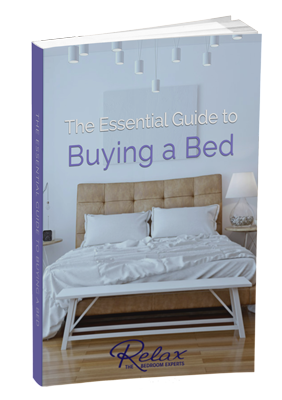 We’ve mastered the selection process to pick the best mattress to suit your needs. From our employees to our suppliers, and with every one of our customers, respect is at the heart of all our operations. We feel that this creates a positive environment in all of our Perth stores, and makes shopping easy and enjoyable for our customers. Our team is happy to help you find the mattress that gives you the best night sleep. Explore Relax Bedding’s range of mattress sizes and styles on sale. Buying a mattress online has a couple of possible advantages including convenience, less pressure, online discounts, and sales. However, buying online may mean no opportunity to test the mattress, no managing the removal of your old mattress, and no price negotiation. The primary advantage of purchasing a mattress in-store is that you get to try the mattress first to check for support and comfort. It also provides you with the valuable resource of a knowledgeable consultant to help you find the right model for your unique circumstances. If you’re not confident shopping online for the mattress that should provide you with comfort and support for the next decade but still want the best prices, no sales pressure and a 100-night test sleep, visit us in-store at either Joondalup or Mandurah. 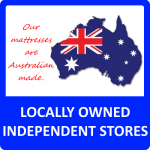 At Relax Bedding, we are proud to be one of the leading independent mattress retailers in the Perth region. At our Joondalup and Mandurah bed stores, we only sell the best – at a price that will give you incredible value for money. We’ve been in the business selling mattresses, ensembles, bedroom furniture and bedding in Perth for over fifteen years. Originally, we set up independently as Relax Bedding in Joondalup, later opening another store in Osborne Park which we have now relocated to Mandurah. We have a great team of friendly bedroom experts; whose combined bedding experience totals 60 years. Quality You Can Afford. Shop the Relax Bedding Mattress Range. Looking to buy a bed? The Relax Bedding team at our Joondalup and Mandurah bed stores are always happy to help in any way we can. 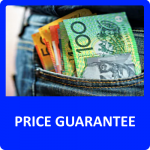 With mattresses, bases, furniture, bedding and accessories, we can provide you with the best quality beds Perth has to offer – and for the lowest price. We are always here to help you create the bedroom of your dreams. Feel free to contact us with any questions about our stock or come visit our Joondalup or Mandurah bedding stores!